In August, Dutch company Abellio – part of the state-owned Dutch Railways – won the franchise it had been running on a temporary basis for four years, with a promise to completely renew the region’s trains by 2020. It will invest £1.4bn in buying 1,043 new carriages to transform rail services in the region and will pay the Treasury £3.7bn for the right to run services. The first new trains should appear early in 2019 with the complete fleet in place by the end of 2020. Jamie Burles, Greater Anglia managing director, said that while much hard work had been undertaken to reach this stage, the hard work of delivering improvements to the service was only just starting. The start of the new franchise is crucial turning point for the region’s railways which are about to be modernised with a new fleet. 1997: The region’s passenger rail services were privatised shortly before the General Election. 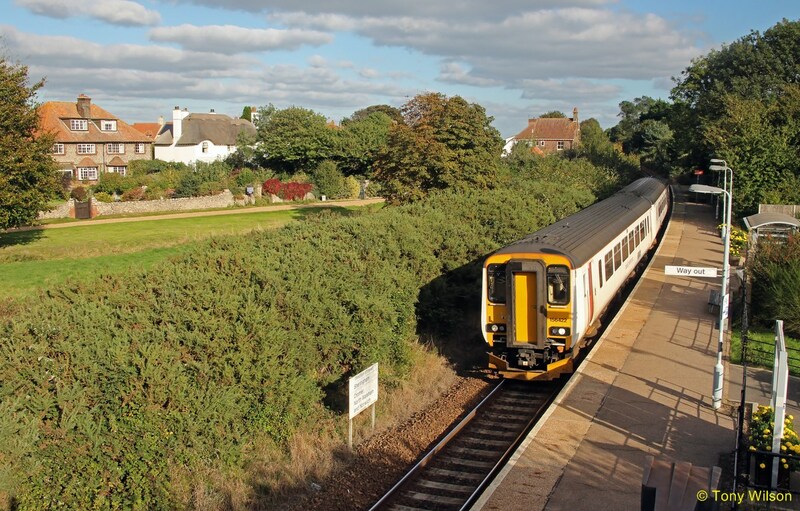 Anglia Railways took on the InterCity route from London to Norwich and the rural branch lines while First Great Eastern ran the suburban trains from London to Ipswich, Clacton, Harwich, Sudbury and Braintree. 2004: All the lines out of Liverpool Street were brought together under a single franchise run by National Express, initially called ‘one’. 2012: Abellio took over the Greater Anglia Franchise, initially for a two-year period. This was extended in 2014 after the Department for Transport’s franchise programme ran into problems. 2016: New long-term franchise awarded to Abellio, with the promise of a new fleet of trains. 2018: Crossrail starts, allowing new connections from Stratford station to Central London, Heathrow Airport, and Reading. Early 2019: First new trains due to be delivered – the InterCity and hybrid train fleets built by Swiss company Stadler are expected to be the first to enter service. Late 2019: New accelerated timetables introduced. These will feature through trains from Lowestoft to London along the East Suffolk Line, an hourly service between Ipswich and Peterborough, and new services between Sudbury and Colchester Town station. New “Aventra” trains from Bombardier enter service on suburban services. Late 2020: Last Aventra trains delivered for the suburban services – meaning the region has a totally modern fleet. October 2025: Abellio’s franchise is due to run out (but many companies have seen their franchises extended). Upgrading existing trains would continue to improve things in the short term – and the contract for the new trains to be introduced in the longer term had now been agreed. The franchise announcement came after three years of campaigning by the Great Eastern Taskforce headed by MPs Chloe Smith and Ben Gummer alongside New Anglia Local Enterprise Partnership chairman Mark Pendlington. The name on the trains is being shortened to Greater Anglia and there should be free wi-fi on all InterCity trains.